March 31, 2019 – The Air Force Space Command Space Futures Workshop was held at the U.S. Air Force Academy, March 19-21, 2019, giving experts the chance to collaborate and predict what space will look like in the next 20-40 years. Opening remarks were provided by Maj. Gen. John Shaw, AFSPC Deputy Commander, and Dr. Richard Joseph, U.S. Air Force Chief Scientist. 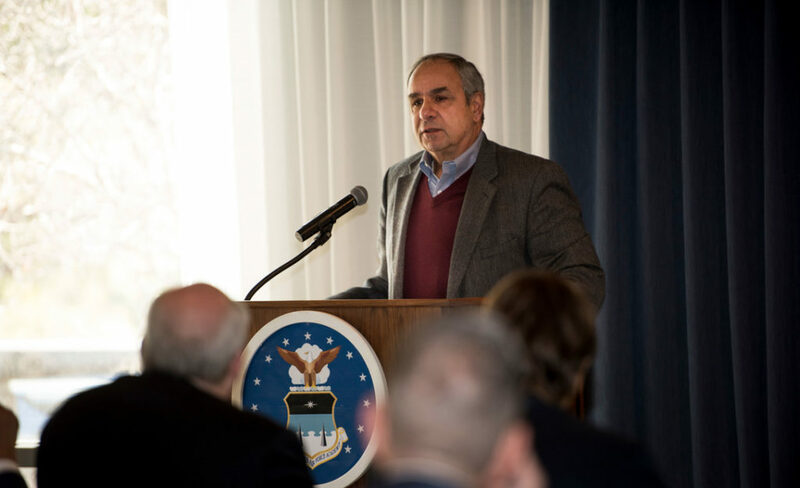 Shaw pointed out how space becoming a contested warfighting domain has driven dramatic changes in U.S. government and is the impetus for collaborations such as the workshop. Joseph summarized the importance of the workshop and of looking forward towards the future. “We have to anticipate where things are going, where the adversary is going, where the adversary can go, and then be there before they get there,” said Joseph. Joseph emphasized the need for creative, new ideas that will further advance U.S. capabilities and its unfettered access to space. Over the course of three days, workshop participants worked to define possible strategic future space scenarios encompassing Social, Technological, Economic, Environmental, and Political (STEEP) factors. Dr. Joel Mozer, Chief Scientist of AFSPC and organizer of the Space Futures Workshop, said the workshop is a message to U.S. agencies and their allies that they must come together in a collaborative effort for space future planning. NASA was among the agencies present at the collaborative workshop. NASA Chief Technologist Dr. Douglas Terrier presented the space agency’s Moon to Mars exploration plans within the context of the proposed FY 2020 budget. Terrier and other NASA officials helped shape the long-term thinking for this government-wide endeavor. Mozer said the workshop was not only meant to facilitate discussions, but to produce a Space Futures Report to be developed by workshop attendees and published in the coming months. AFSPC is a major command, headquartered on Peterson AFB in Colorado Springs, focused on providing military-focused space capabilities with a global perspective to the joint warfighting team. The command’s mission is to provide resilient, defendable and affordable space capabilities for the Air Force, Joint Force and the Nation.